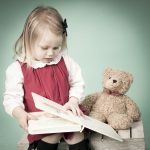 I recently exhibited at Foxhills Golf and Country Club wedding fair and bumped into a toastmaster who recognised me as his wedding photographer 12 years ago! 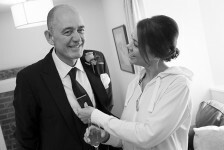 He is still happily married and his favourite wedding photographs sit proudly in photo frames. It made me think about my favourite wedding photographs that I have taken over the years. 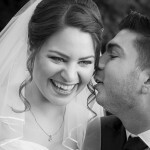 I decided to select a handful of recent weddings – but always find it very hard to choose the best shots! 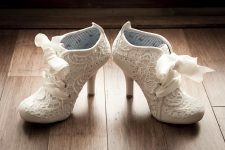 Next I will delve into the archive and find some older weddings that are my all time favourites! 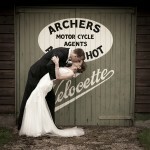 Vintage wedding at Southsea Castle with an unusual twist! Wow – I loved photographing this wedding! Adam and Scarlett were such a fun couple – the venue was great, the weather was beautiful and the couple were fantastic!! It was a special, vintage style wedding with the opportunity to do some amazing photos – even in the lower battlements of the castle. A place where no other couple have been allowed to go before! Scarlett’s mum did a brilliant job of all the decorations in the marquee, including the art sculptures on each table and even the zombie wedding cake! A wedding to remember. 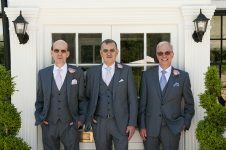 November wedding at Denbies Vineyard, Surrey. Autumn is a beautiful time to shoot location photography, especially when you’re lucky with the weather and the sun makes an appearance. So this one was a treat! 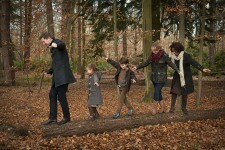 I photographed this couple on their wedding day and then again with their young children. 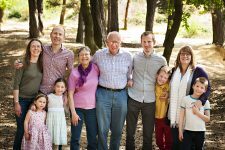 So I was delighted when they asked me to photograph the whole, extended family with grandparents too. 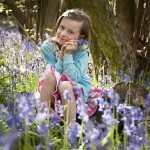 The children really enjoyed themselves in the woods and the logs made a perfect setting for some great shots of everyone together. I certainly had a workout keeping up with them that day! 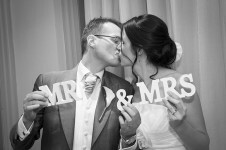 I recently photographed John and Fiona’s wedding reception at the Foley Arms, Claygate. 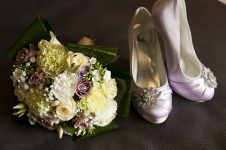 They were married abroad but wanted to celebrate with family and friends with a relaxed and informal wedding reception. Fiona looked amazing! It was lovely to see some of the guests arriving in beautiful Oriental outfits too! The children enjoyed me chasing after them to get a photo – keeps me fit! 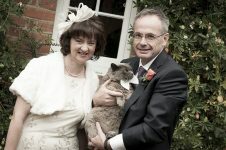 I was lucky enough to photograph Peter and Jan’s wedding at Frensham Pond Hotel, Farnham on a glorious, hot sunny day. They had a very relaxed and informal civil ceremony, surrounded by family and friends, and with a drinks reception outside overlooking the lake. What more could you want?!! With 2 best men, a slideshow of old photographs and various props, it made for some funny moments in the speeches! I love photographing this part of the wedding, as I find out so much about the couple and are always good for reactions! 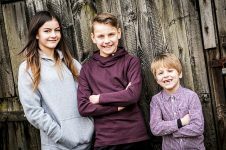 We recently held a Mother’s Day Mini Shoot at Sandown Play Cafe in Esher. With a beautiful spring time theme from our tulips and a colourful backdrop, I hope you agree that the resulting images are bright and engaging. What a lovely wedding at The Berystede! The marriage of Helen and John Paul went without a hitch on a beautiful sunny day. Helen looked stunning in a vintage lace dress. They had a civil ceremony with candelabras and lots of candles and it was all very emotional. The string quartet played during the drinks reception on the terrace. It was very relaxed and informal, which suited the couple perfectly. The boys kicked off their shoes and enjoyed playing football, which they didn’t want to stop! I don’t think Helen or John Paul stopped laughing all day! 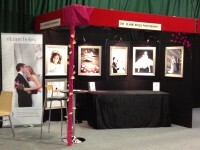 I exhibited at the Kempton Park Wedding Fair last Sunday and had a great time meeting lots of lovely couples. To see more of my wedding photography click here. 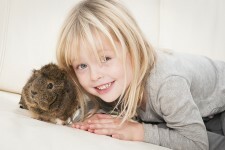 Just to remind the couples who visited my stand that the show offer is valid until the 28th of February. Please contact me if you have any questions and I look forward to speaking with you. 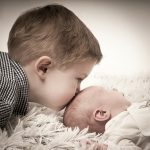 This gallery contains 165 photos. 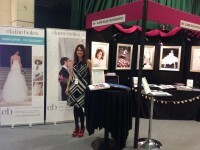 I have 20 Free tickets for the Sandown Park Wedding Show this weekend – Saturday 25th and Sunday 26th October.http://www.theweddingshow.co.uk/catwalk-bride-wedding-show-sandown-park-racecourse/ Entry to the fair is £5 on the door, so please contact me if you would like to attend one of the best and largest shows in Surrey!